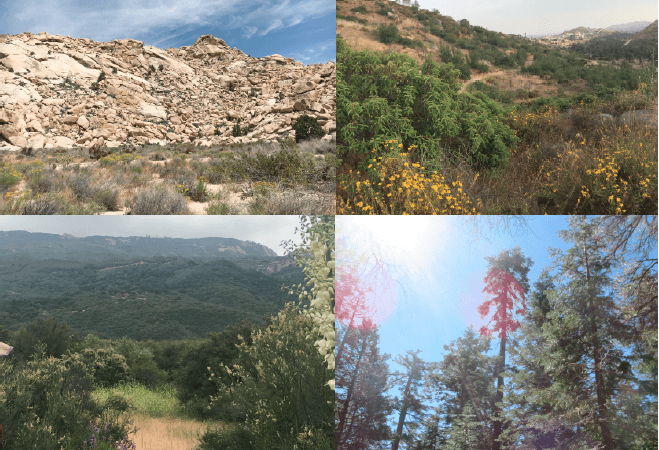 My project aims to quantify the vulnerability of woody plant species to drought in key ecosystem types of California and model species’ relative sensitivities to drought under future climate change scenarios. This is important because extreme droughts are increasing in incidence and severity worldwide, so we need to expand the knowledge about the function of plants’ the water transport system in contrasting environments, how it coordinates with other traits that determine drought tolerance, and how this system varies across species from different ecosystems. My idea is to quantify physiological traits that are understood mechanistically to contribute to drought tolerance but have not been quantified for California species in detail and combine them with individual-based models of plant performance under drought. This way, I will be able to make predictions of species responses to shifts in environmental conditions and make predictions of each species’ vulnerability under climate change scenarios. My project will ultimately provide a broad set of predictive tools for California species and increase mechanistic understanding of drought responses. Both products will be invaluable locally and can be applied for the physiological conservation of species and ecosystems worldwide to predict plant responses to environmental changes.